Simply fill the form below and our experts will get back to you with best packages in next 24-48 hours. When people dream about spending their wildlife trip in luxury resorts, then the pictures of lavish and spacious rooms surrounded by the picturesque natural beauty and secluded ambience come in front of their eyes. The reality is that many of the facilities offered by these resorts are much better than anything we have ever experienced. The resorts offer an unparalleled luxurious lifestyle experience to the wildlife enthusiasts. The hotels with their world-class facilities and close proximity to the national parks offer a memorable time to the tourists. The visitors from the safe and comfortable confines of their hotels can hear the sweet chirping of the birds, see the monkeys climbing from one tree to another and marvel at the captivating beauty of Mother Nature. The resorts tender a homely feeling and offer many luxurious amenities and services. Nothing beats staying in a luxury hotel amidst the wilderness and verdant landscapes. The exotic flora and fauna, unmatched hospitality, world class facilities and delectable cuisines certainly cast a magic spell upon the visitors. With almost all kinds of luxuries available to the travelers, it is a guaranteed fact that the wildlife holidays will be fun-filled and unforgettable. Nestled near the Ranthambore Tiger Reserve amid the magnificent Vindhya mountain ranges and Aravalli hills in Sawai Madhopur, Oberoi Vanyavillas offers lavish facilities to the visitors. The resort has won plenty of awards for providing unparalleled services and amenities. It tenders world class hospitality service and has 25 elegantly designed luxurious tents. The stunning architectural work of the tents simply amazes the visitors. Jungle safaris, swimming pool, car rental, mini bar, concierge, gymnasium, boutique, etc are some of the services offered by the resort. There are two multi-cuisine restaurants that offer lip-smacking cuisines prepared by professional chefs. A stay in this resort certainly provides unforgettable memories to cherish forever. Elegantly built over 40 acres of verdant land in the middle of lush forest and the pine trees, Taj Mahua Kothi is one of popular wildlife resorts in India. With its fascinating location, top-notch amenities and warm hospitality, it provides the complete jungle experience to the tourists. Mahua Kothi has 12 cottage suites that are also called ‘Kutiyas’. The lodges are stuffed with many amazing amenities like Twin beds that can be converted into double beds, air-conditioning, indoor showers, private bathroom, intercom, hair dryer and in-room safe. Wildlife enthusiasts visiting the Bandhavgarh National Park can book their rooms in this resort and make their trip memorable. An important point to be taken into consideration here is that the lodges remain non-operational from 1st July to 15th October as the park is closed because of monsoons. Situated within close proximity of the Corbett National Park, Corbett Leela Vilas is one of the famous wildlife resorts. Visitors from various parts of the world like to book an accommodation in this resort because of its perfect location, warm hospitality and delectable cuisines. The quality of services offered to the guests is not compromised. 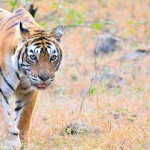 The resort is about 10 minutes away from the Bijrani entrance gate of the Corbett National Park. The guests can enjoy many facilities like Jacuzzi, a 32” LCD/LED TV with satellite channels, Wi-Fi, air-conditioner, mini bar, mini-refrigerator and lots more. The sprawling garden of the resort refreshes the mind, body and soul. The tourists can cherish a peaceful time by admiring the natural beauty of the place standing besides the windows in their rooms. The restaurant of the resort offers mouth watering dishes that will delight the taste buds of the guests. The hotel has received a”Winner Certificate of Excellence” from Tripadvisor. Situated near to the Bandhavgarh National Park, the Tree House Hideaway is a perfect wildlife resort to spend a wildlife trip. Built in conventional Indian jungle style, equipped with all the desired plush facilities, it offers a relaxing accommodation to the tourists visiting the park. The resorts have well furnished 5 tree houses offering many facilities like the inbuilt bar, well stocked library, writing tables, attached bathroom, round the clock running hot and cold water, split AC, 24-hour power back up, and chairs in the balconies. From the balconies, the visitors with their camera can get a great opportunity to see the majestic tiger and other animals. Baghvan wildlife resort tenders excellent comfort, facilities and fun-filled wildlife holidays to the people. It is surrounded by a small crystal-clear river and a lush-green forest. It is undoubtedly a great place to stay and spend the vacations. The high-quality facilities, good hospitality services and delicious food really make the tour of Pench National Park pleasurable. There is a huge Banyan tree where the wildlife enthusiasts can watch the wonderful sunset with a cup of hot coffee or tea in their hands. There are 12 lavish suites in the resort that are traditionally designed with contrasting shades of copper and pale turquoise. Syna Tiger is luxury resort perched near to the Bandhavgarh National Park. The resort is built over 15 acres of sprawling lush-green land and the alluring natural settings provide a perfect escape for the tourists from their frenetic lives. What catches the attention of the visitors is that it is an eco-friendly resort that uses rainwater harvesting and prohibits the usage of plastic in the area. The cottages of the resort are beautifully designed after taking into account the needs of the guests. There are 15 cottages loaded with all the modern facilities to make the stay of tourists gratifying. The resort also tenders banquet and conferencing facility, bar, spa, fitness centre and swimming pool. Another good thing about the resort is that it uses fresh vegetables and fruits to prepare food from its organic farms. 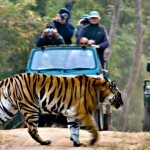 Tuli Tiger is one of the excellent luxury resorts situated around 20 minutes away from the popular Kanha National Park. The interior of the rooms captivates the attention of the wildlife buffs and offers a natural feel of the jungle. There is also a fireplace where the guests can enjoy a fun-filled evening with their near and dear ones. There are 26 fully furnished cottages that ensure a secluded environment for a peaceful stay. The tourists can watch different colorful birds through the large windows of their cottages. Experience royalty and grandeur while staying in the Aman-I-Khas hotel enveloped by the stunning Aravalli Hills. 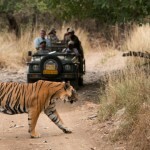 It is very popular among wildlife fanatics because of its close proximity to the Ranthambore Wildlife Sanctuary. The architectural work of the rooms symbolizes the beautiful artwork of the Rajput and Mughal eras. The rooms are separated by cotton drapes and have all the modern facilities like air-conditioner, writing desks, separate toilets and arm chair. The luxury tents can only be booked from October to June as for the rest of the period they are closed because of the rainy season. The visitors can experience a soothing feeling by taking the massage and therapeutic treatments. Located on the enchanting location closer to the Ranthambore, the Taj Sawai Madhopur Lodge offers pleasurable stay to the guests. The resort has got a heritage status and was constructed by the Maharaja Sawai Man Singh II of Jaipur. The hotel has a sprawling lush green area and the awe-inspiring ambience adds stars to the natural beauty of this heritage lodge. The lodge has 27 rooms that are very spacious, clean and hygienic. There are also 2 luxurious suites and 6 tents that offer a relaxing stay. Running hot and cold water, telephone, electronic safe, satellite TV, spa, fitness centre, outdoor swimming pool, library, attached bathroom, etc are various facilities tendered by the resort. The guests can also enjoy certain recreational facilities like jogging, cycling, nature walk and pool table. Nestled on the edge of the translucent Banjaar River and surrounded by the sal forest, the Banjaar Tola tented camp overlooks the Kanha National Park. It is one of the best maintained parks in the region that make the tourists feel like being at home. There are two luxury elegantly designed camps that contains nine tented suites. The best part is that each camp has its own private deck facing the river. The lodges are not operational from 1 July to 15 October as the park is closed due to monsoons. These luxury wildlife resorts add a unique element of adventure to the holidays. The resorts offer magnificent accommodation, yummy food and other luxury amenities. A lavish stay in the resorts provides a great chance to explore the exotic wildlife and enchanting beauty of the nature. With their state-of-the-art decor and excellent services, the resorts proffer a relaxing stay with unforgettable wildlife tour. 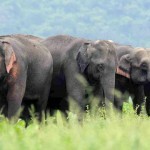 World Elephant Day: Spreading Awareness to Conserve the Giants in the Wild! © 2019 India Wildlife Resorts. All rights reserved.